Game of Thrones season 8 episode 1 titled "Winter Is Here" leaked online just a few hours after its official release. Game of Thrones season 8 episode 1 titled "Winterfell" leaked online just a few hours after its official release. 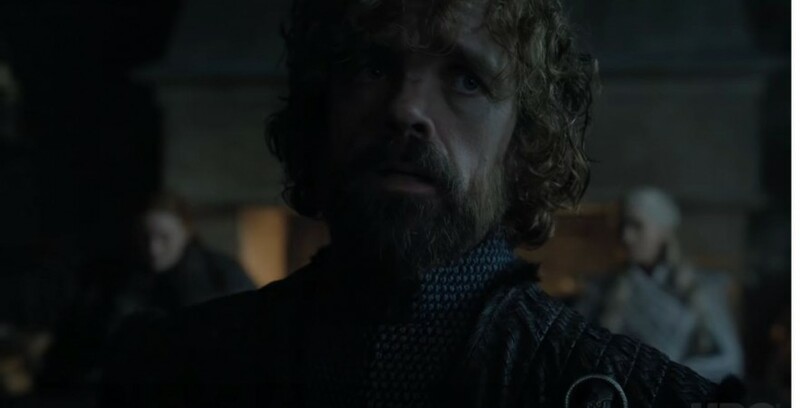 On several torrent websites, the very first episode of Game of Thrones season 8 is currently available in HD quality and viewers are downloading it instead of watching it legally. In the past, several episodes of Game of Thrones made their way online weeks before its official release. The security with season eight was extra tight. It was reported that even the cast and crew had no idea about the ending of the show. Actors even revealed in the previous interviews that they had to use a special mobile application to access the script, which was later deleted from their phone automatically. Even after takin up such measures, the very first episode has made its way online and now fans are freaking out for what they have seen online. The very first episode of Game of Thrones season 8 shows Jon Snow and Daenerys Targaryen coming to Winterfell. Upon their arrival, they are greeted by Sansa Stark. Jon goes to the Old Gods to open up about his inner conflicts and this is where he will meet Arya Stark after all these years. We are not going to spoil the rest of the episode for you and you can watch it on HBO, Hotstar or other paid services, instead of opting for illegal downloads. As each episode of Game of Thrones cost a ton of money and the cast and the crew give their sweat and blood to make something so beautiful, media fraternity has long been appealing fans not to use the illegal methods to watch Game of Thrones online. Game of Thrones season 8 episode 1 episode is written by Dave Hill and is directed by David Nutter, who previously directed two episodes of the second season of Game of Thrones and last two episodes of the fifth season, "The Dance of Dragons" and "Mother's Mercy." David has received a Primetime Emmy Award for Outstanding Directing for a Drama Series for "Mother's Mercy." The very first episode of Game of Thrones season 8 aired on HBO and other streaming services on April 14, 2019, and the second episode will air on April 21, 2019.